These international mime artists, trained in Paris by Marcel Marceau, have taught mime workshops around the world. 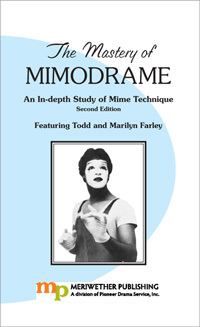 This video and workbook program presents a comprehensive series of mime exercises for student practice and review. Each technique is explained step-by-step in the illustrated book and shown clearly and slowly on the DVD. Some techniques include: Body Positioning, Communicating With the Body, and The Living Character. Also includes the techniques of creating an illusion, object identification, and gestural coloration and decoloration.